It starts with pressure. You feel it in your face. You feel it behind your eyes. You can’t breathe. Your upper teeth hurt. Your ears feel full. Then, the throbbing in your head begins. Oh, the throbbing! You already know what it is…another sinus headache. So, you go to your doctor who gives you a prescription for another antibiotic that never seems to help. Pain medications and decongestants rarely give you any relief. You find yourself frustrated and miserable. What is one to do when nothing works to ease the pain and pressure? In order to understand why conventional treatments do not seem to help your sinus headache, you must first understand why these headaches are occurring and what exactly is a sinus headache. A sinus headache is a type of headache that comes on when the sinus cavities located in your forehead and face become inflamed. Sinus cavities are basically air pockets in the bone of your skull that allow for the air you breathe in to be filtered and humidified, and the mucus your body produces to drain. When the mucus that typically drains from these cavities is prohibited from doing so, congestion can occur, which will increase the pressure in the sinus cavities, thereby producing one terrible headache. When you lean forward or lay down, the mucus that is trapped in your sinuses moves around the cavity, causing the pain and pressure in your face and head to increase. Hence, the throbbing you feel. There are four different pairs of sinuses in your face. The frontal sinuses are located in your forehead, the sphenoid sinuses are in the bones behind your nose, the ethmoid sinuses are located between your eyes, and the largest pair of sinuses are located in your cheekbones and are called the maxillary sinuses. If the locations in your face and head that were just described are where you feel a great deal of pressure or pain, then you may be the victim of a sinus headache. So, why don’t antibiotics and decongestants your doctor prescribes cure your sinus headache? In order for antibiotics to be effective against an infection of any type, including a sinus infection, the cause of the infection must be bacterial in nature. Bacterial infections only make up about 5% of the infections located in your sinuses! Unfortunately, the other 95% of sinus infections are either viral or fungal, and antibiotics have no effect on killing either. Decongestants will help with the swelling of the nasal passages, thus making it easier to breath. But, they are not a cure for sinusitis (infection of the sinuses) or allergies. Therefore, when you take a decongestant, your may feel relief for a short time, but once the effects of the drug wear off and the symptoms return, you need to take the medication again. This is a vicious cycle that really gets you nowhere when it comes to eliminating a sinus headache. So, now that you know where and what your sinuses are, what a sinus headache actually is, and why conventional methods do not work, what can you do to ease the pressure and pain when the conventional methods of treatment fail? Method 1: Keep Your Body Hydrated! If you are prone to sinus headaches, here’s yet another reason to drink up the water! Water helps to thin out congested mucus. The thinner the mucus, the easier it is to drain. It really is that simple. A good rule to follow is to drink half your weight in ounces a day. For example, if you weigh 150 lbs, you should be drinking at least 75 ounces of water per day! 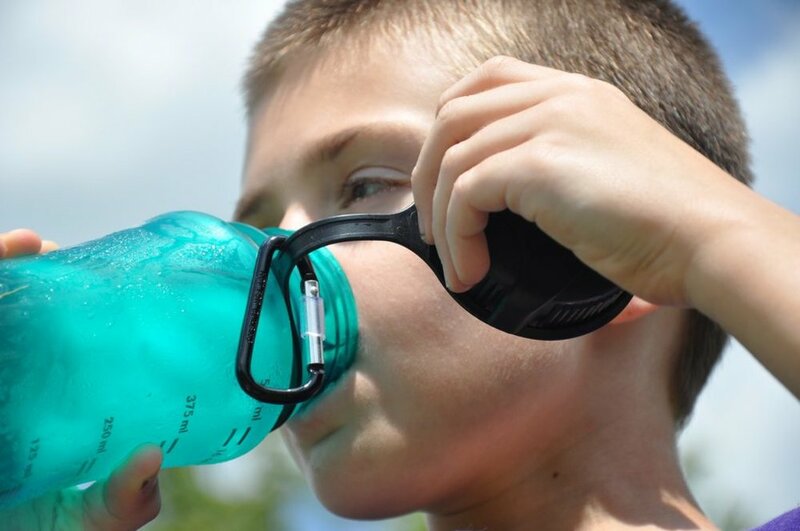 Not only is it important to drink water, but it is equally important to avoid drinks that will dehydrate you rapidly. Alcoholic drinks, soda, and even tea will decrease your hydration level quickly. For every drink you have that depletes your hydration, you need to replace that much in water, plus your daily required water intake. So, if you have a 20-ounce soda and weigh 150 lbs, you need to drink 95 ounces of water to keep your hydration at its best! Method 2: Steam Your Sinus Headache Away with Cinnamon! Cinnamon is an herb that works as an anti-inflammatory to help with nasal passages and sinus cavities that have become swollen. Cinnamon also works as a strong antiseptic to combat bacteria and viruses. Boil two cinnamon sticks in water, then let them simmer for 10 minutes. Remove from heat, and place a towel over your head and the pot to trap the steam. Breathe in the steam. Your nasal passages will open and congestion will lessen. The pressure from your sinus headache will lessen within minutes. Do this once a day until your sinus issues are gone. Method 3: Get Rid of the Dry Air! In order for the mucus to drain properly from your sinuses, the air cannot be too dry. Dry air irritates the sinus passages and causes congestion in the sinuses to build due to inflammation and slow drainage. Putting moisture back in the air with a humidifier is a great way to eliminate sinus headaches that are enhanced from dry air. Keeping your home environment properly humidified prevents irritation of the nasal passages and allows for drainage of mucus to happen. Therefore, you keep the pressure from sinus headaches away. Method 4: Drink Apple Cider Vinegar! Apple cider vinegar is a common household item. Its usages range from a strong cleaning agent to countless health benefits. Apple cider vinegar can also be used to combat an oncoming sinus headache! Antioxidants, vitamins, and minerals are all contained in organic, unprocessed apple cider vinegar, and it acts as a strong body detoxifier. It is thought that apple cider vinegar acts to break up the congested sinus cavities and allow for drainage to continue, which prohibits a sinus headache from continuing on. For the absolute best results when using apple cider vinegar for a sinus headache, it is essential to use it when the symptoms first set in. One simple recipe is to mix one half cup of water with one half cup of apple cider vinegar. Stir in one tablespoon of organic honey and one teaspoon of cayenne pepper. Then, stir in the juice from a lemon. Drink the concoction when you first feel the pressure set in. Method 5: Flush Your Nasal Passages! In order to open up your congested sinuses, flushing the nasal passages with a warm salt water solution can work wonders! Your nasal passages are lined with tiny little hair-like structures known as cilia. Cilia push the mucus in your nasal passages into the nose or into the throat to be expelled from the body. When mucus becomes thick from particles from allergies, dust particles, or from an increase in bacteria, virus, and fungal waste products due to infection, the cilia have a harder time moving the mucus out of the nasal passage. Sinus irrigation works because pouring saline, or salt water solutions, into the nasal passages will thin out the mucus so the cilia can work effectively. There are many devices that can be used to help flush the nasal passages such as a Neti pot, a bulb syringe, or a squeeze bottle. No matter the device used, the method consists of tilting your head to one side while blocking off one nostril and pouring the saline solution into the other nostril. The solution will travel up the nose and into the sinus passages, and come down through the other nostril. 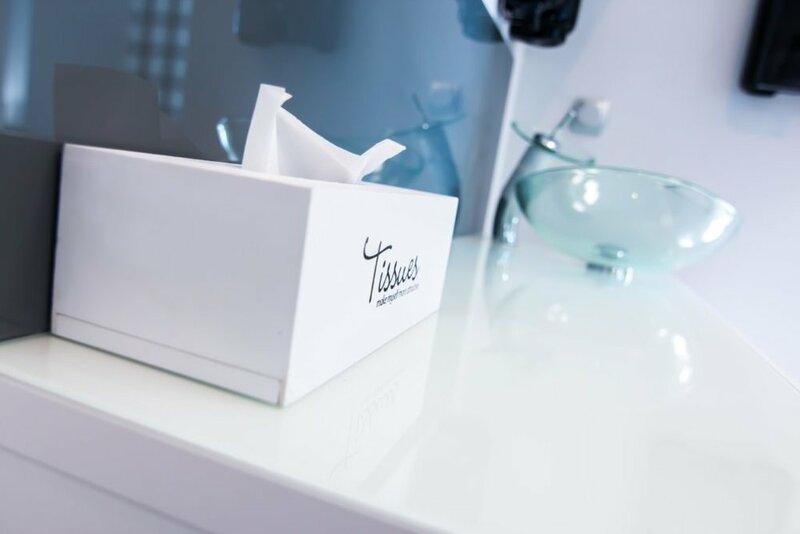 It is important to always use sterile, distilled water and clean devices when doing nasal flushing to prevent more serious infections from setting in. Flushing or irrigating your nasal passages will give you almost instant relief from a sinus pressure and pain, and, when done on a regular basis, may prevent sinus headaches! Method 6: Diffuse Essential Oils! Essential oils have long been used for natural remedies for ailments. Two of the most important oils for the healing of sinus headaches are eucalyptus and peppermint. Both eucalyptus and peppermint contain properties that open nasal passages and help in the removal of toxins from the body. Thus, you can breathe easier and flush out harmful toxins from the sinuses. Diffusers work by breaking down the essential oils into small molecular particles that are negatively charged and dispersed into the air. These negatively charged particles bind to positively charged particles in the air that are harmful and toxic. The binding of the essential oil particles and the toxic particles then cleanses the air. It is important to note that the grade of essential oil you use is key to having great results for sinus headache relief. The more pure and organic the oil is, the better it will perform. Method 7: Massage Your Sinuses! Massaging the sinuses of the face can help break up the trapped mucus in the sinus cavities. Rubbing the areas over the sinuses with warm hands in a circular or tapping motion can cause the mucus to move around and break up, which helps clear the sinuses and nasal passage, and promote the drainage of the mucus to continue. Once the mucus is broken up and draining to the nose or down the throat to be expelled from the body, the pressure will lessen, and the pain will decrease, in turn relieving the sinus headache. Massaging will not only help to clear the congestion from the sinus cavities, but it will also help enhance blood circulation to the sinuses so that the function of the sinuses is best optimized. Sinus headaches are a pain. Not every method will work for every person, but having different approaches and tools to ease the pressure and kick those headaches without having to spend money on costly visits to your medical doctor, and antibiotics and medications that do not work, is a major deal. 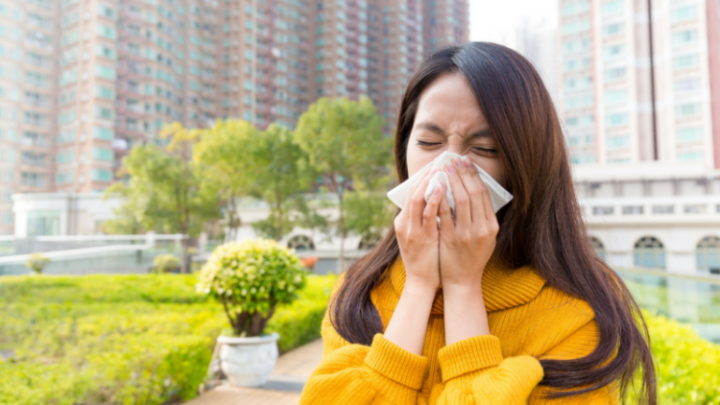 By being proactive and keeping known triggers and allergens out of your home will help you stave off sinus issues and prevent chronic sinusitis. Also, keeping your immune system strong is a key factor in preventing sinus headaches. Holistic approaches to your health such as chiropractic care, exercise, maintaining a good diet, acupressure, acupuncture, and massage therapy are also key ways to keep your body in its optimal state of health and your immune system ready to fight off any type of infection. Dr. Justin Mohr is a second generation chiropractor. He has been a chiropractic patient his entire life so he knows firsthand what it is like to be the patient and the provider. Dr. Mohr grew up in Brazil, Indiana and always knew that chiropractic was the career path he wanted to take. Dr. Mohr graduated from Northview High School and then attended Indiana State University for his pre-chiropractic coursework and also received a bachelor’s degree in psychology. Upon graduation, Dr. Mohr attended Logan College of Chiropractic where he was able to earn a second bachelor’s degree in life science in route to completing the rigorous coursework and training to becoming a Doctor of Chiropractic. Dr. Mohr graduated from Logan College of Chiropractic in December of 2007. Dr. Mohr is board certified in chiropractic and physiotherapy. He is a member of the Avon Chamber of Commerce, the Indiana State Chiropractic Association, the Logan College Alumni Association, Integrity Doctors, and Harvest Bible Chapel in Avon. Dr. Mohr enjoys spending time with his family, being outdoors, and traveling. Dr. Justin specializes in helping his patients treat their headaches and low back pain through the use of Chiropractic care as well as home management.